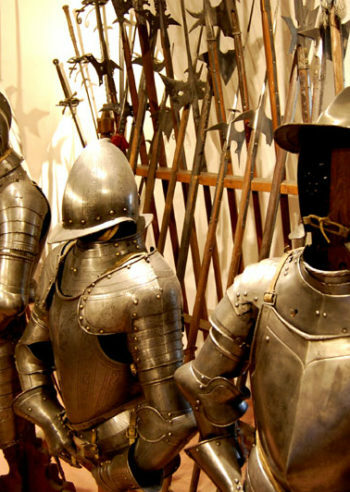 You could ride a miner’s train deep into a mountain, or turn your world around in an up-side down house or see how nobility lived 3-400 years ago? These are just a few of the suggestions we have for you. 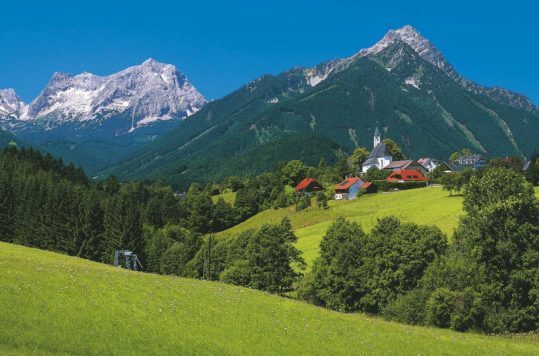 Tyrol is much, much more than ski resorts or hiking holidays. Moreover, if the weather isn’t the best, there are plenty of activities to keep most happy and busy for a day or three. 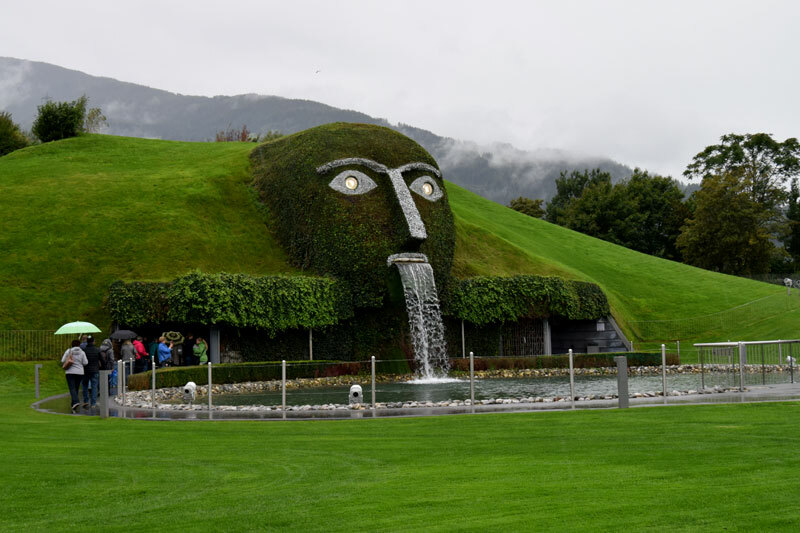 We went out to see what there is to do on a rainy day in Central Tyrol. The distances are small, so you can easily visit 2-3 of these attractions on the same day. Between Wattens and Schloss Traztberg it’s only 19 km (12 mi). 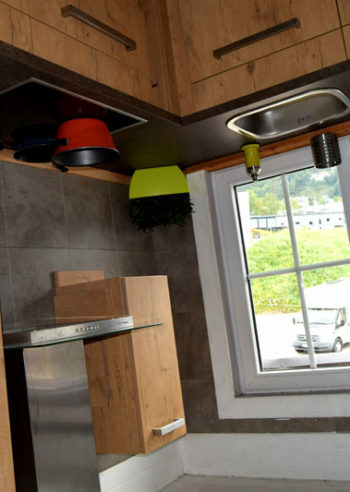 The up-side down house is a really weird experience. 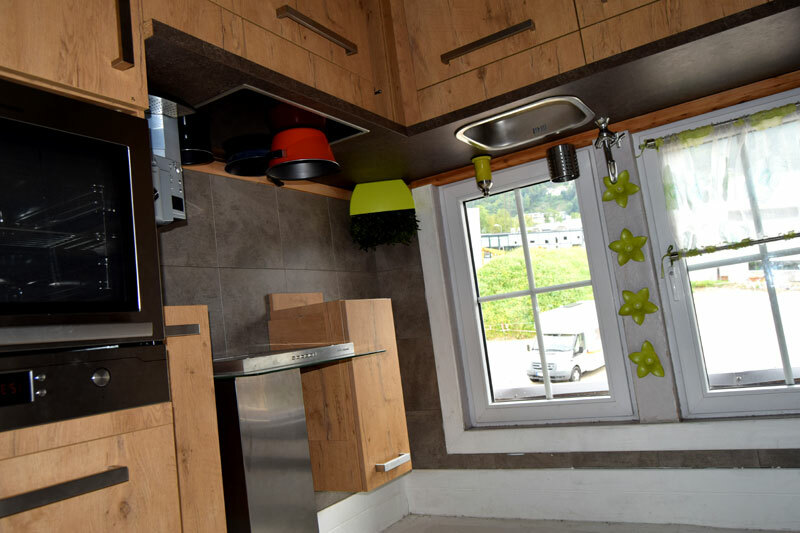 They have literarily built an entire two-floor house up-side down, including a garage with a car in it. You get dizzy roaming around the house, walking on the ceilings. While looking up on the sofa or a bed. Opening the fridge and all the contents are “standing” there the wrong way … or are they, makes your head spin. It’s hard to explain, just go there yourself and see it! The crystal producer with its headquarter in Tyrol has built a well-known world-wide brand since its foundation in 1895. 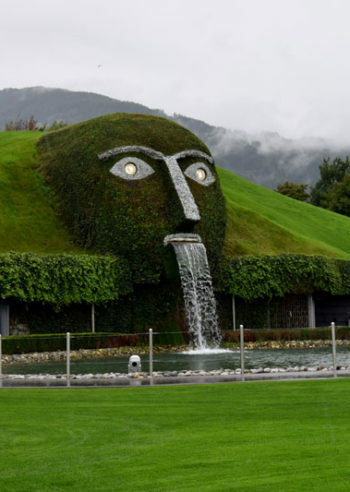 You can’t visit the actual factory, but the company has built a crystal-themed museum, next to its factory in Wattens. The museum is not an historical museum about the production of crystals etc., but more like a gallery featuring different crystal art. In addition, there is a lovely park with sculptures, playground and of the course the Giant! The magnificent white palace/castle is clearly visible from the A12 motorway, only about 35 km from Innsbruck. It was originally built as a castle in the 12th century, but it got its present look after a fire destroyed most of the castle. During the 15th century is was rebuilt and renovated into a palace. 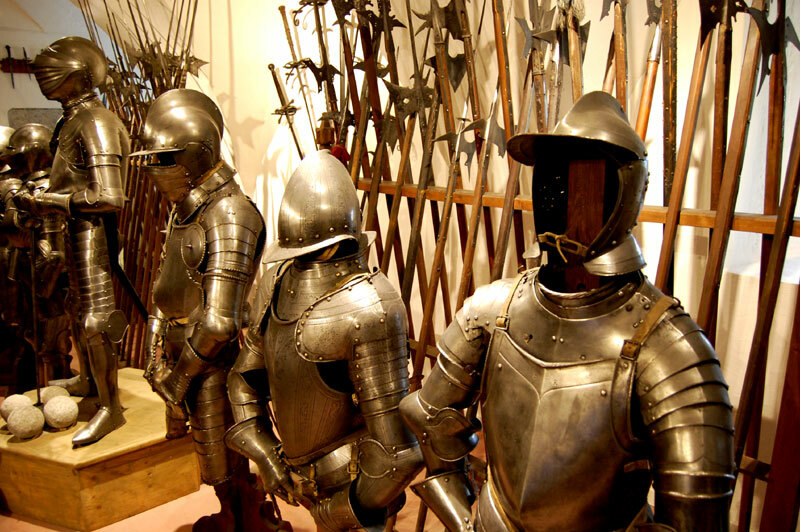 The guided tours give you an insight to the life of the nobles during the late middle age and the following centuries. There are some remarkable furniture and interior from the baroque and renaissance on display, including a weapon collection. 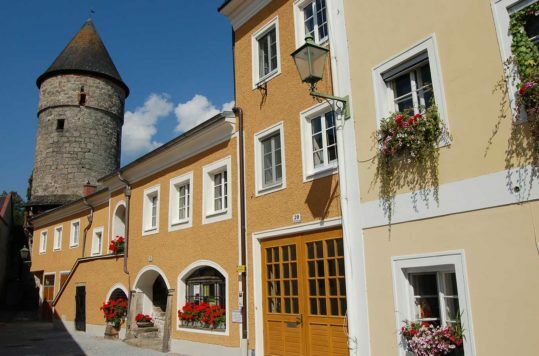 The little town of Schwaz flourished about in the Middle Ages and had its peak around the 15th century. At that time Schwaz had 20.000 inhabitants and was the second largest city in the Austrian Empire, just outnumbered by the capitol Vienna. 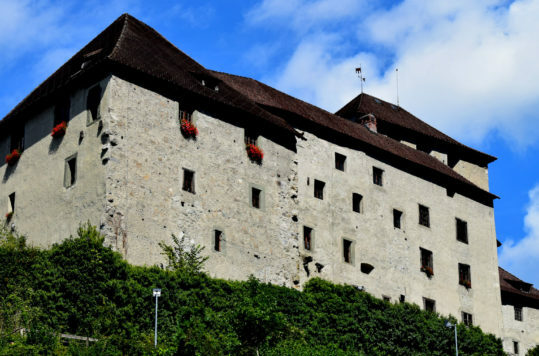 Schwaz had Europe’s largest silver mines in the Middle Ages. 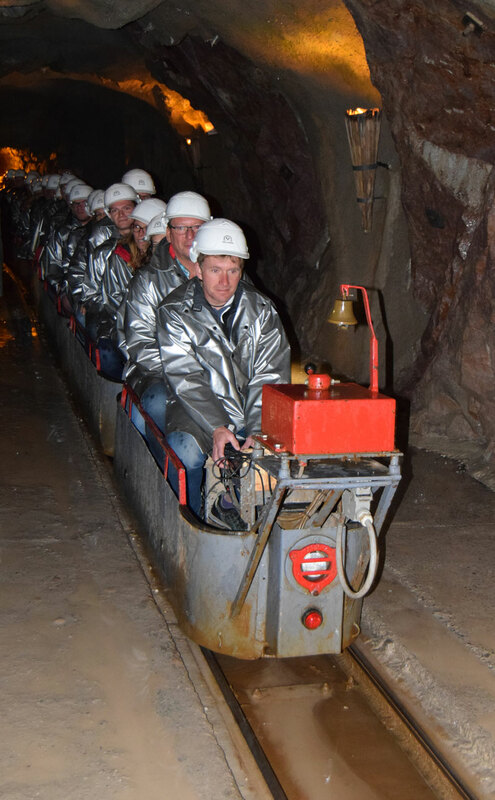 You can visit these mines, Bergwerk Schwaz, on guided tours and get an insight into the gruelling life of the miners and the wealth they brought to the Empire. The trip starts by riding small train 800 metres, through dark and cramped tunnels, into the mountains. 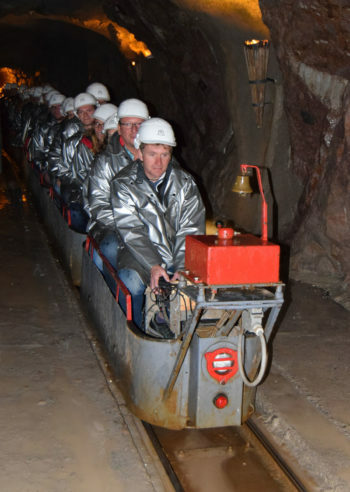 Inside the mine guides will take your through the tunnels with different show cases, explaining how it worked. Hold on to your hard-hat and learn about a fascinating underground world.